Bowling is a rather interesting game where its all about the twist. Its all done in perfection to make the ball spin and yet once it leave your hand there is really just inertia in control until it touch the very first pin. Indirect Resource has a lot to do with one person health as it is the element that directly produce you. When you have the workhorse star of DW along the road, you have a situation of constant putting out energy to repair your body toil body. One aspect of IR that make it rather unpopular its inability to explain where information come from. It work on a plane where it project information ahead, thing have not happen yet. A person health does not deteriorate over night but happen over time. DW/IR lashing to your year would generally make you a rather popular social butterfly not because you are entertaining but because you put in effort to all the people around you. You bother to know thing that other might miss and hence you make a wondrous host in any function that you attend. This include helping with setup and later cleaning. No one would ever mind having you around as you are such a good spot. Consider this … do you really need to go to every one of those social gathering? It does cost your time and money to even appear, it better be worth it. DW/IR in the month can be said as one of the best worker mix (not for the worker). Imagine having someone in your office that work tirelessly on a task that would be critical in the future. It may not look much now but when it hit, a solution is already prepared and ready to deploy. You don’t get much thanks for having such foresight actually, in the olden day you will be accused of being a witch. The hour would be the most appropriate place for DW/IR to appear as it represent the future realm. This pillar has a lot to do with projection skill as a person build his/her legacy base on this pillar. Building a future is essentially what this combination does and they may not even survive the trip. DW/IR are people that exchange their now with what may come tomorrow. Wise man say that tomorrow is nothing more than anxiety which is true in their case as they plow their health into oblivion for some goal that has yet to be put in motion. We should put them in job that required future proofing, that would be a dream position for DW/IR. 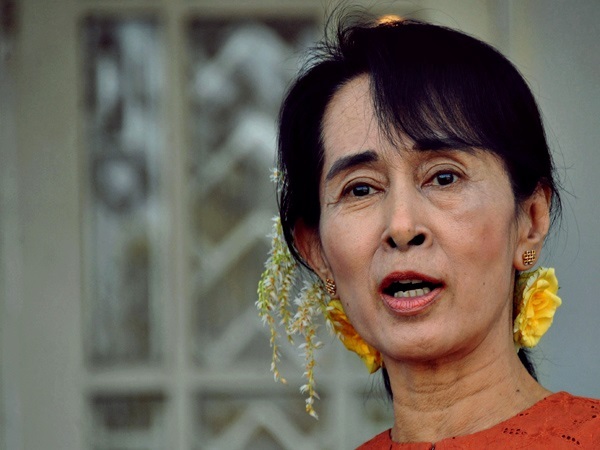 Ang San Suu Kyi has a DW/IR in her month pillar which provide her with a relentless peruse of her nation future. Now that she has reach a milestone with Myanmar being “rather” free, her locomotive seems to be loosing steam. She should be passing the torch to the next generation or at least build a next generation to hold it.